The procedure – if supported by other EU member states voting unanimously – sets off a lengthy process that could lead to the suspension of the country’s EU voting rights in the Council of Ministers. Timmermans said the decision was made with “a heavy heart”, and hoped “ that we can enter into a more fruitful dialogue”. 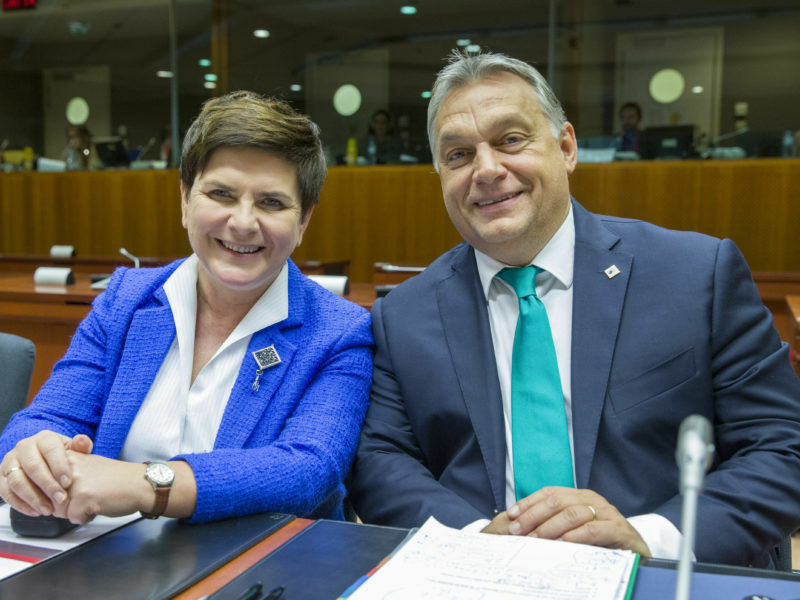 The Commission also gave its fourth set of recommendation to Poland on remedial measures that the country could adopt to stop the punitive process. “Over a period of two years, the Polish authorities have adopted more than 13 laws affecting the entire structure of the justice system in Poland, impacting the Constitutional Tribunal, Supreme Court, ordinary courts, National Council for the Judiciary, prosecution service and National School of Judiciary. “The common pattern is that the executive and legislative branches have been systematically enabled to politically interfere in the composition, powers, administration and functioning of the judicial branch,” the Commission said. If the procedure is concluded, the main effect of Article 7 is to suspend voting rights of the targeted country in the Council of the EU. Article 7 can be triggered by one third of member states, by the European Parliament or by the Commission, each according to their own rules of procedure. The European Parliament then has to give its consent, which requires a two-thirds majority of the votes cast and an absolute majority of MEPs. The Council of the EU representing the 28 member states, then has to approve the launch of the procedure, with a four-fifths majority vote aimed at recognising the risk of a breach of EU values. The next phase is Article 7(2), by which an actual breach of EU values can be determined by the Council on a proposal by a third of Member States or the Commission. The Council then needs to vote by unanimity on Article 7(3), which launches sanctions, such as the suspension of voting rights in the Council. The Parliament closes the procedure by giving its consent (two-thirds majority, absolute majority of MEPs). The European Parliament adopted on Wednesday (15 November) a resolution calling for the application of the so-called ‘nuclear option’ for Poland, Article 7 of the EU Treaty, because of the threat to the rule of law in the biggest Eastern European country. EURACTIV Poland reports. “I believe that the subjectivity of Poland can be reconciled with the idea of a United Europe,” Morawiecki said, signalling the new prime minister is likely to go ahead with the reforms. Polska jest przywiązana do zasady praworządności tak samo jak UE. Reforma wymiaru sprawiedliwości jest w Polsce konieczna. W dialogu między Warszawą, a Komisją potrzebujemy otwartości i uczciwości. Wierzę w to, że podmiotowość Polski da się pogodzić z ideą Zjednoczonej Europy. The Polish Foreign ministry issued a statement (see below in full) saying: “We want to continue to reform our justice system – we owe it to our voters, these are social expectations. We are open to the social and political debate on this important reform, and we expect from our European partners a comprehensive, objective assessment and a better understanding”. Speaking to EURACTIV.com on behalf of Poland’s permanent representation to the EU, Martyna Bildziukiewicz said “it is too early to know” what will happen in the Council, which could be convened on March 20th – exactly three months from now. It is early to say which countries will support Poland in the council, although Hungary has already said it will veto the procedure. Other allies include the Czech Republic and Slovakia, which are part of the Visegrad Group, making sanctions unlikely. In May, MEPs voted in favour of triggering Article 7 against Hungary, citing “serious deterioration of rule of law and democracy”, and asking for putting Hungary’s EU funds under surveillance. 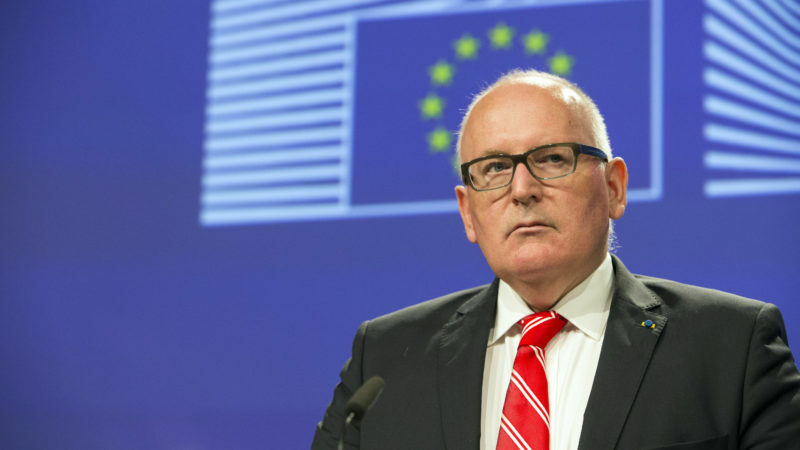 Poland deplores the launching by the European Commission of the procedure foreseen in art. 7 TEU, which is essentially political, not legal. It unnecessarily charges our mutual relations, which may make it difficult to build understanding and mutual trust between Warsaw and Brussels. That is why we are always ready for talks - during the last European summit, Prime Minister M. Morawiecki reaffirmed our will to continue the dialogue at the highest level with the Commission, which was positively welcomed by her. We hope that soon we will be able to present our position in a direct and open way. At the same time, it should be emphasized that the Polish government conducts a dialogue with the European Commission in good faith and upholds previous declarations of readiness to familiarize the representatives of the European Commission with all aspects of the legislative process aimed at reforming the Polish justice system. Poland is also willing to present the objectives and objectives of the reform in the General Affairs Council, as well as in bilateral contacts, if necessary. We are convinced that all Member States, without unnecessarily stigmatizing one of them, listen carefully to Polish arguments, regardless of the unnecessary political pressure exerted by the European institutions. We want to continue to reform our justice system - we owe it to our voters, these are social expectations. We are open to the social and political debate on this important reform, and we expect from our European partners a comprehensive, objective assessment and a better understanding of the changes that were subject to draft laws on the Supreme Court and the National Council of the Judiciary during the legislative work. In our opinion, the recently introduced changes to laws reforming the system of justice in Poland are meeting the expectations of the Commission. It is worth pointing out, among others to strengthen the role of the President of the Republic of Poland, in the process of assessing the legitimacy of being a judge when adjudicating, or even giving up the automatic dismissal of all standing judges of the Supreme Court and introducing a retirement age common for men and women. In addition, the new draft law on the National Council of the Judiciary provides for the election of members of the National Council of the Judiciary by a qualified majority 3/5. We hope that all these issues will be noticed by the Commission. We can not accept unilateral and unfair opinions addressed to Poland. The campaign of negative information about reforms carried out in our country is not based on facts and prevents us from addressing the allegations. This is in the eyes of the European institutions and leaves a shadow of good cooperation. Poland fully agrees that one of the elements of the rule of law - both in the Member States and the European Union - is the functioning of independent courts that provide objective and impartial monitoring of compliance with the law. In the European Union, this court is the Court of Justice, which, pursuant to art. 19 para. 1 TEU ensures respect for the law in the interpretation and application of treaties. It is for the Court of Justice to decide whether a Member State has failed to fulfill any obligation imposed on it by the Treaties. Poland has always respected and will continue to respect the judgments of the Court of Justice, regardless of the subject matter and the differences of opinion in this regard. We are of the opinion that doubts as to the compatibility of national law with EU law should be resolved by a routine procedure before the Court of Justice. Poland is ready to defend its claims to the Court of Justice as an independent and impartial judicial body, and even expects that it will be able to do so. Poland hopes that the Commission will launch the procedure provided for in Article 7 TEU will not interfere with the proceedings before that Tribunal and that an impartial legal assessment of actions taken by the Polish authorities will not be replaced by biased political assessments. "We fully support the decision of the European Commission to launch Article 7 procedures. The Commission is the guardian of the treaties and it is essential that they act when they see a clear threat to the rule of law in any Member State. This is not a political decision but a necessary step based on the treaties. It comes after two years of overtures and invitations to dialogue addressed by the Commission to the Polish government, which unfortunately fell on deaf ears. The Commission had no choice but to launch Article 7." "As Commission Vice-President Frans Timmermans has said, we have two options: to avoid confrontation indefinitely, or to engage in confrontation now and preserve fundamental rights now and in the future, for the sake of Polish citizens and all other European citizens. The separation of powers is one of the EU's fundamental values. It is a false narrative to say that newer member states are being targeted by Brussels. The Polish government should stop portraying itself as a victim -- the true victim here is Polish democracy." "Suspected of serious violations of the rule of law, Poland is finally threatened with sanctions by the Commission. I welcome it. The values of the EU, which each Member State commits itself to respect, must not remain but an incantation. Membership of the Union includes rights, but also duties. When we live in community there are rules to respect, the European demagogues must finally understand it. The Commission has rightly assumed an act of authority. It is now up to the European Parliament and national capitals to take up their responsibilities ". "This European Union measure should not be limited to Poland's judicial reforms but should include the violations of all the European values cited in Article 2. The EU must reject the Polish government's entire anti-democratic agenda."